For most of us, our teeth play a big role in making us feel good about ourselves. So, when we lose a tooth, it can really take its toll on our confidence. Luckily, there is a simple and effective solution for people in this situation. Here at Peninsula Dental Care, we offer premium dental implant services for people who may want to replace a missing tooth. Focused on providing unparalleled quality of care and effective, long-lasting solutions, our team of professionals go above and beyond to ensure you get back the confident smile you once had. Located in Rosebud and servicing Rye, Dromana, Sorrento, Mount Martha, Blairgowrie, Portsea, Red Hill, Main Ridge, Boneo and surrounding areas, contact us today on (03) 5981 2255 or book online peninsuladentalcare.com.au to book your appointment. 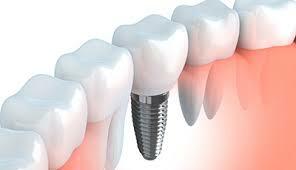 A dental implant is suggested to patients who have lost a tooth. The process requires insertion of a screw like material which is usually made from titanium. This piece of metal is directly inserted into the patient’s jawbone for a stronger foundation of the tooth replacement. Dental implants are one of the best long-term solutions when it comes to replacing missing teeth. There are two phases of the dental implant procedure. The initial phase is when the titanium is inserted into the jawbone. The next phase is the placement of a natural looking tooth on top of the implant. This ensures that patients can enjoy a dental implant that looks as real as their other teeth. For a successful dental implant outcome, patients are carefully assessed to determine if they meet the required bone structure to ensure the stable foundation of the implant. For this reason, it is important that you tell your dentist if you have diabetes, blood pressure issues, osteoporosis or if you are a smoker before undergoing the dental implant procedure. Whether you’re looking for a reliable dentist for your child or for yourself, finding a professional team who are dedicated to your quality of care is imperative. Here at Peninsula Dental Care, we are known for providing the highest quality dental services throughout Rosebud and surrounding areas. Along with dental implants and general dentistry, our team of experienced, friendly professionals offer a range of solutions, from crowns and bridges to root canal treatments, teeth whitening procedures, veneers and wisdom teeth extraction. No matter what problem you may be having, we are dedicated to providing a seamless solution and unparalleled quality of care. If you’re having dental issues or believe you may in need of a dental implant, don’t hesitate to get in touch with the team at Peninsula Dental Care today. Call us on (03) 5981 2255 to book your appointment in our Rosebud clinic.